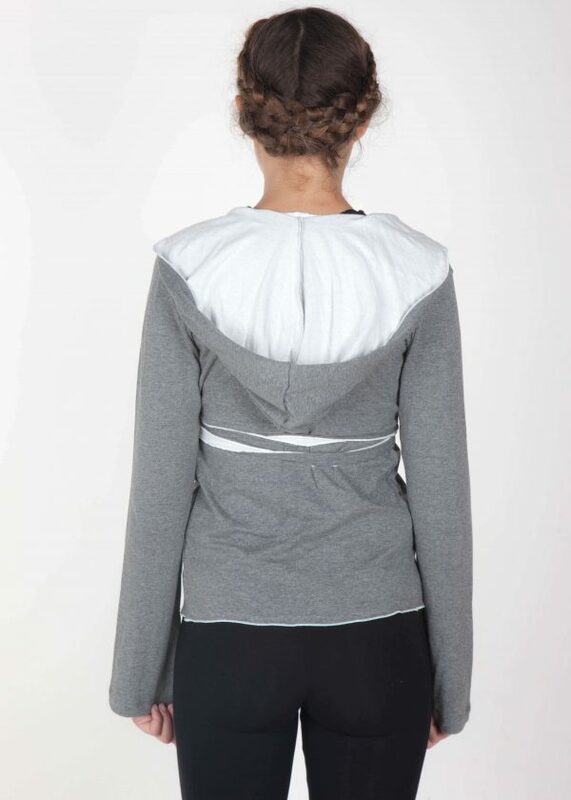 Gaia Hoodie is a wonderful wrap around jacket. There are so many ways to wear this versatile garment. You can wrap it around the waist, or leave the front panels hanging for a more casual “grab and go” style and tie the strands at the back. Made in our warm double layered pure cotton, this piece works great over any item, either over our pants or dresses. A year round layering piece to add that little extra warmth for any occasion. Double face fabric, White inside and a light Charcoal Grey outside. You can see our colour chart here. 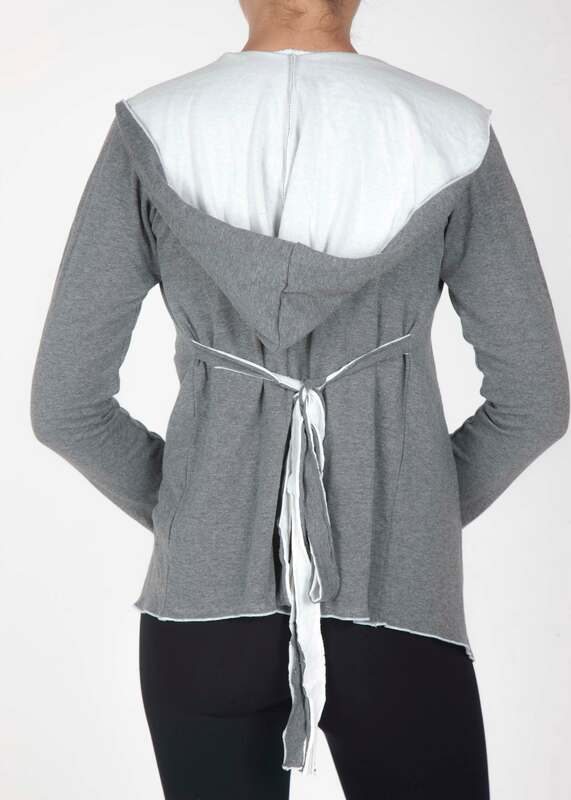 Gaia Wrap Hoodie is a wonderful wrap around jacket. Double face fabric, White inside and a light Charcoal Grey outside. Lovely large hood to keep you warm and fuzzy!